A new Galaxy S10 render has surfaced courtesy of a case manufacturer. It highlights the much talked about display hole and the triple rear camera. Samsung will reportedly be offering as many as four variants of the Galaxy S10. There’s a new entry-level model which will presumably come with a flat display. The Galaxy S10 and Galaxy S10+ will feature curved displays as well as triple and quad rear cameras. Samsung also has a model with six cameras in total and 5G support. We have already seen renders of the Galaxy S10+. They showed off the quad camera at the back and the dual front camera with the requisite display hole. The one similarity between all models is said to be the Infinity-O display. It’s a new kind of display which has a hole in the actual display area for the front camera. 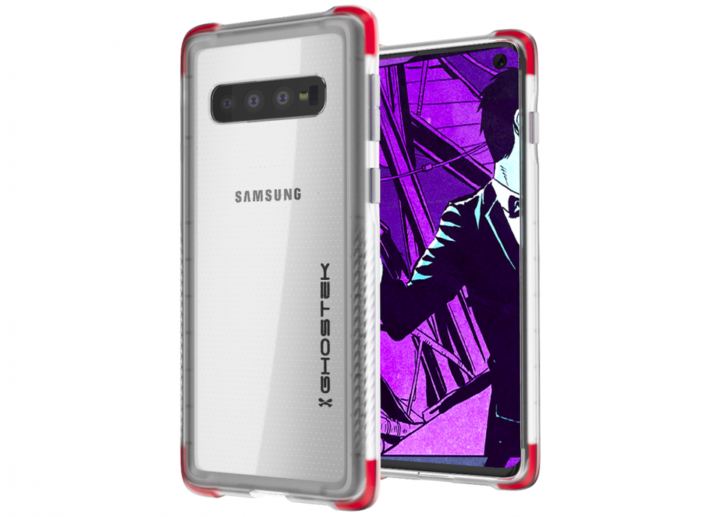 The shape will be slightly different for the Galaxy S10+ since it will have two cameras on the front. The Galaxy S10 won’t be Samsung’s first device with an Infinity-O display, though. The company is unveiling the Galaxy A8s later today. It also has a cutout in the display for the front camera. So we’ll be able to get the first impressions of the Infinity-O display even before the Galaxy S10 is unveiled. This render also envisages a camera cutout in the top right corner of the display. It suggests that this will enable the device to have extremely slim bezels, something that many customers might appreciate. The rear triple camera system is laid out horizontally as expected. What the render shows here is in line with the expectations that have been formed so far about the Galaxy S10. Whether or not it will look entirely like this remains to be seen. What’s your opinion on how the Galaxy S10 design is shaping up? Let us know in the comments below. If the leak is true then that’s good news that the regular S10 maybe the best option as the single camera cut out is actually not as intrusive as the dual. Really do hope the S10 is well spec with 3 camera and with decent enough ram and internal memory. but in this case not becasue the display area. Yes agreed with more being better but given they are going to pack out the plus model with more stuff. I’d still rather have a slim bezel with useful stuff there like a notification LED. But given the sizes these phones are rumoured to have, I won’t have to bother much with the designs as I’ll be skipping them. Maybe the S11, with the New Infinity, will be more interesting… And smaller. If there are no smaller phones, I won’t be spending my money. Either OEMs have something I want or they don’t get my money. I’ve just got a new S7 to replace my S9. I’ve had enough of putting up with oversized phones and I can perfectly well survive with old phones. I don’t use them as my main computing device anyway. Maybe if Sony doesn’t screw up the XZ4 Compact I’ll give them another shot. Their Z3 Compact, at that time, was a nearly perfect phone. I will not put up with the crap version of the S10 just because I’m not trying to overcompensate with a phone for something else. I don’t need a big phone. The Lite at 5.8″ is already oversized. And for that I’d keep the S9. Comparing with the iPhone is pointless. I only ever bought an iPhone and that was the iPhone SE. Precisely because of its size (unfortunately I can’t live with iOS). Maybe instead of the classic notification LED, just an equivalent part of the screen will light up, regardless of whether the phone is on/off (perhaps according to a setting)? It’ll probably use the Always On display. Thing is, I’ve always hated Glace Screens, ever since Nokia invented them almost a decade ago. I rather a have small LED which consumes way less battery than something constantly showing on my display.